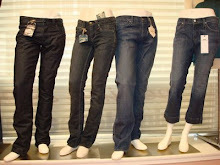 Gap styles are looking good for Spring Summer 2011. I love the drawstrings, the apron skirts. The models make it all look so good. I think the apron skirt will suit any body type with its loose fit.